When researching Oil Creek State Park I wasn’t sure where to even start, considering how big the park is. My fiancé and I drove two hours in order to venture this massive landscape. When we arrived, it was bright and sunny, very hot to be exact, but we were prepared with water and proper gear. When we started our hike, we first came up on a bridge. We decided to take the trail that scaled next to it since we didn’t know how to get down below the bridge yet. 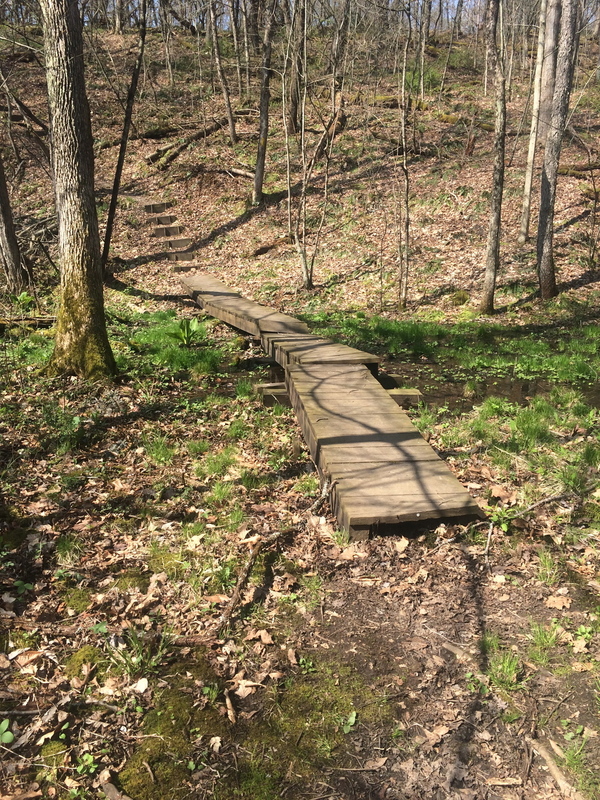 When we started on the trail, we met a very odd looking bridge that was curved like a rainbow. It was one I had never seen before. After we crossed over it, we saw the first oil structures. The small area opened up and we stared at the tall wooden rigs. We decided to turn back since we weren’t entirely sure where the rest of the trail headed and decided to hike the other way. As we were walking the trail, we came across various obstacles. From hills, ditches, and marshland, to seeing abandoned oil architecture. 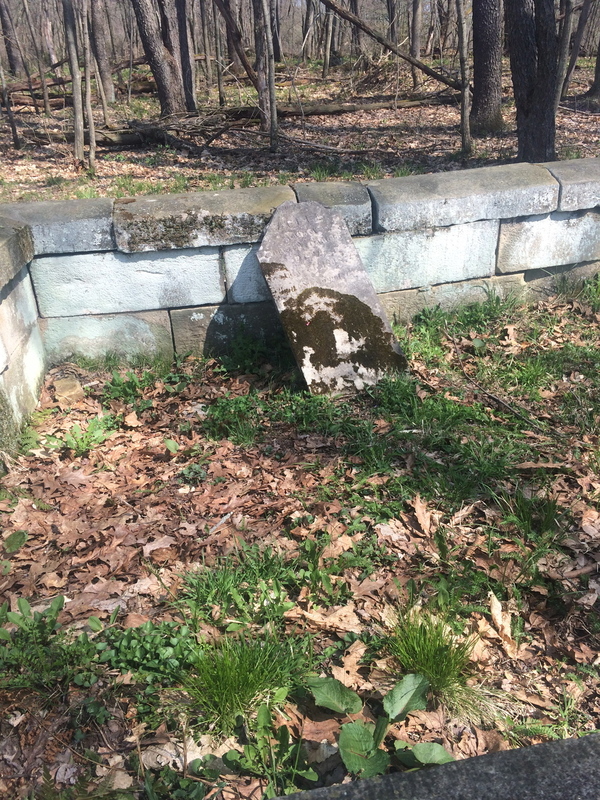 Awhile into hiking, we came across a lone grave that was placed interestingly in a rectangle stone foundation. After seeing and investigating that, we ended up finding another grave, which was standing tall and strong. As we walked away from the two lone graves, we ended up in a small cemetery where some of the founders were put to rest. After finishing those trails and investigations, we finally found our way underneath the bridge. There we had found a bike trail, which we walked for a little while. We watched all the fishermen and little kids as they casted their lines in the beautiful sun. Everyone who walked past us said hello or good afternoon; very pleasant, which is always nice. At this point we were extremely tired, but we pressed on since it was a gorgeous day out. 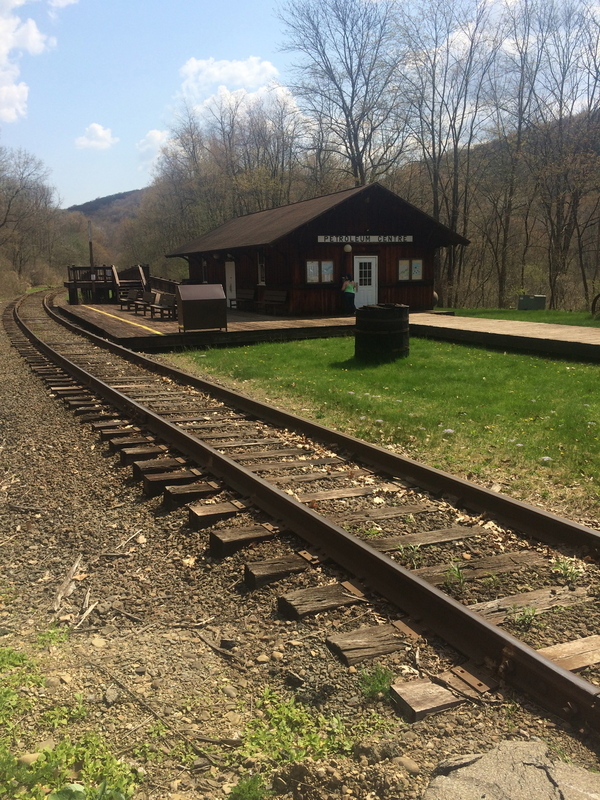 We drove to another part of the park and came across an old train station, also where the Drake Well Museum is. We began to hike up a steep mountain, but once we had a run in with two snakes, one big and one small, we realized that the trail was a lot longer than we expected, so we decided to turn around. At this point, we had been hiking for eight hours straight, so we decided we had enough since our feet were throbbing and our bodies shaking. After our trip, we treated ourselves to some ice cream from Dairy Queen and headed home. Enjoy these photographs and my behind the scene video of our adventure there! Hope you enjoyed my behind the scenes of Oil Creek State Park! Make sure to check out the final images when you're done!